For many women as they get older, time is often spent reminiscing together about their loss of youth. The energy they once had, the changes to their body over time, the gray hairs that have appeared... they are all signs of aging that can't be avoided. However, one aspect that isn't talked about nearly as much is light bladder leakage, or LBL. Who wants to admit that laughing, sneezing, coughing or just about any physical activity might result in a loss of bladder control? I consider myself extremely fortunate that LBL is not an issue that affects me, however, did you know one in three women experience it? One in three! Weak pelvic floor muscles, pregnancy, childbirth, weight gain, menopause, UTIs, complications from surgery or a stroke... and this isn't a full comprehensive list of LBL contributors! Yet, of all of the women out there that have to manage their LBL, it is unfortunate that many of them don't realize that there are much better ways than relying on feminine care items (or nothing at all). Whether they don't know that there are solutions designed specifically for leaks or they just don't think incontinence products are for them, they deal with the hassle day in and day out. But let's get real! 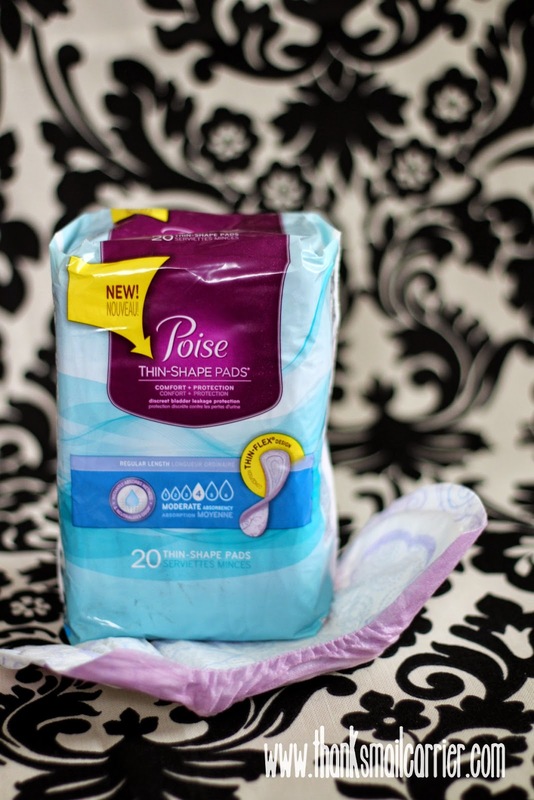 It's time to ditch the bulky period pads and turn to the new Poise Thin-Shape Pads! Designed to lock away wetness better than period pads and liners, Poise products have always been known as the best way to fight LBL and keep women everywhere feeling dry and comfortable all day. Whether your schedule involves working out, running errands, watching the latest comedy in theaters or simply sitting back and relaxing, Poise can make the whole day better! 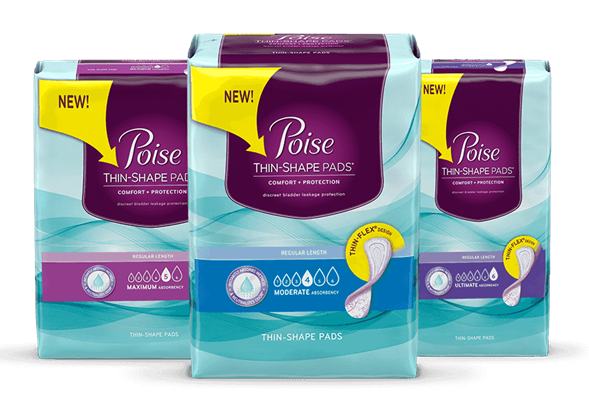 Plus, Poise's new Thin-Shape Pads — which are up to 40% thinner than original Poise brand pads — are designed to move with your body to do an even better job absorbing and kicking bladder leaks to the curb. These pads also include Poise's awesome Super Absorbent Material, or SAM, and a Thin-Flex design for even more extraordinary protection (3x drier than period pads)! So now that every woman out there with LBL knows to reach for Poise, what does that leave us to do with those bulky period pads that are stashed away? Practical solutions include donating them or giving them to a friend or family member that will utilize them for their intended use, but hey, why not get a little silly and creative as well? Poise is encouraging just that as they want to see all of our crafty creations shared in their #RecycleYourPeriodPad campaign! 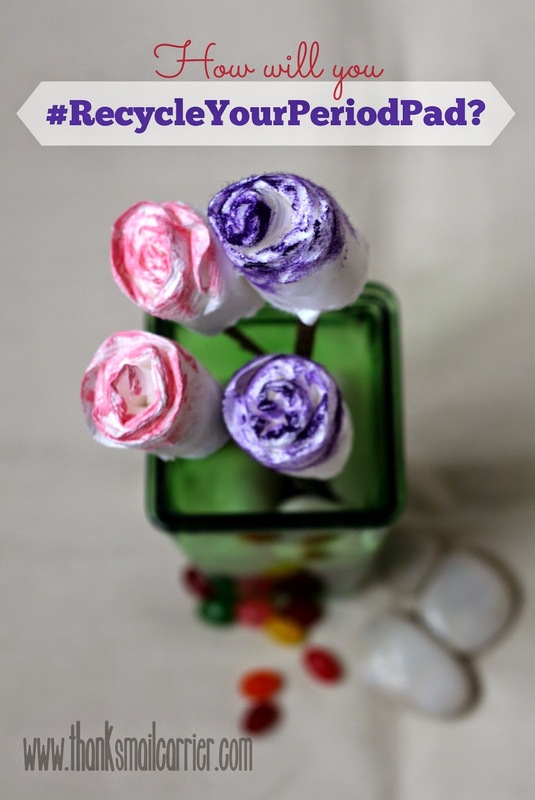 We've got spring on the brain around here, so even though the real flowers aren't blooming quite yet, my kids and I had a good time creating our own! Although you may be chuckling at our pad flowers (or grossed out? ), LBL is nothing to laugh at — and the new Poise Thin-Shape Pads just might be the perfect solution for you, a friend or a family member. It's time to ditch the period pads for the shockingly thin, surprisingly absorbent liners and pads from Poise instead! I like knowing that there's a specific product for this and not just a regular pad.